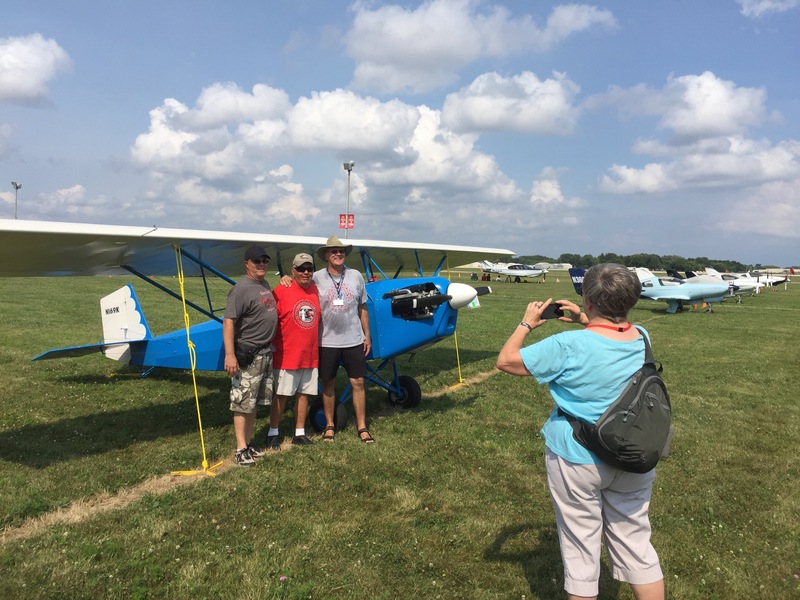 A great moment in life: after 12 years of building, Lynn Knoll, flanked by his sons, brings his 2700 cc Corvair/Pietenpol to Oshkosh. In the forground, legendary EAA journalist Mary Jones gets their photo and story. We put 27.4 trouble free hours on her during our Brodhead/Oshkosh adventure and never had to add a drop of oil. Thanks William!